Amidst Spain’s growing eviction crisis, the local government of Marinaleda, a small autonomous town in Andalusia, expropriated thousands of square meters of land, now communal property, aiming to find land to build new houses. The expropriated land is given free of charge to the self-builder who is involved in the design process, while professional builders are available for the construction – free of charge, and the architect’s design is also free. Upon completion of a house, self-builders meet in a consultation to work out the monthly payment to achieve ownership. All houses have 3 bedrooms, a bathroom and a garden of 100 m², allowing for future expansions. The last houses have been built and bought at a cost of 2,550 pesetas per month (approximately 15€ per month), and to date, more than 350 single-family houses have been built according to this scheme. Imagine a place where everyone works less so everyone can work, and there is no competition of who works the most, who earns the most and makes the most profit by selling products. There is no police force, and everyone plays a part in the decision-making, and direct democracy exists in everyday life. Citizens are self-sufficient and do not lack food even in times of crisis. 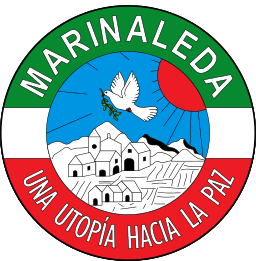 Marinaleda certainly is a breath of fresh air in a dark Spanish crisis… perhaps it will motivate others to live differently. Click here for the BBC article and video report: Marinaleda: Will ‘free homes’ solve Spain’s evictions crisis?